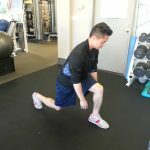 Looking for the best functional lower body strengthening exercise? One simple move that targets your quads, glues and hamstrings? One that can simultaneously help train balance and core stabilization at the same time? Look no further than your humble lunges (because you never do more than just one). 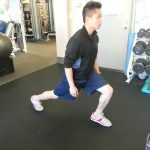 Although simple, there are several finesses that will optimize the effectiveness and safety of a lunge. 1. Knees should be at 90 degrees at the bottom of the lunge. An adequate stride length will greatly help. 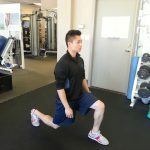 Common mistake: keeping the back leg straight through the lunge, which can result with the front knee creeping forward past the toe and the front heel lifting off the floor. 2. Maintain an upright posture throughout the lunge. Even though the hips and knees move down closer to the floor during the movement, keep the spine tall and head up in a neutral upper body position. Common mistake: allowing the upper torso to learn forward or the spine to round down, and hence an anterior collapse in the shoulders and rounding of the upper spine. 3. Begin lunging only after attaining a stable base of support. 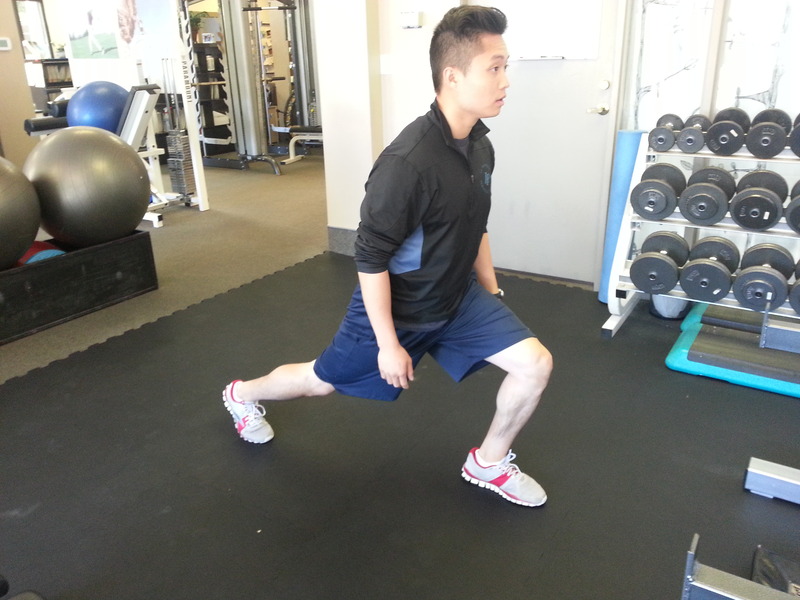 Lunge with a wider stance to allow for improved balance. But Lunges hurt my knees! Don’t worry, you’re not alone. Knee pain or discomfort can be caused by a myriad of factors, and if we can ensure that your technique is modified to keep your knees happy, let’s start there! Here are a few of my favourite tricks to help you. Adjust the front knee position, preventing the knee from moving past the toe. 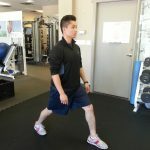 Push off the front heel to decrease pressure on the front knee, while further engaging the posterior chain. 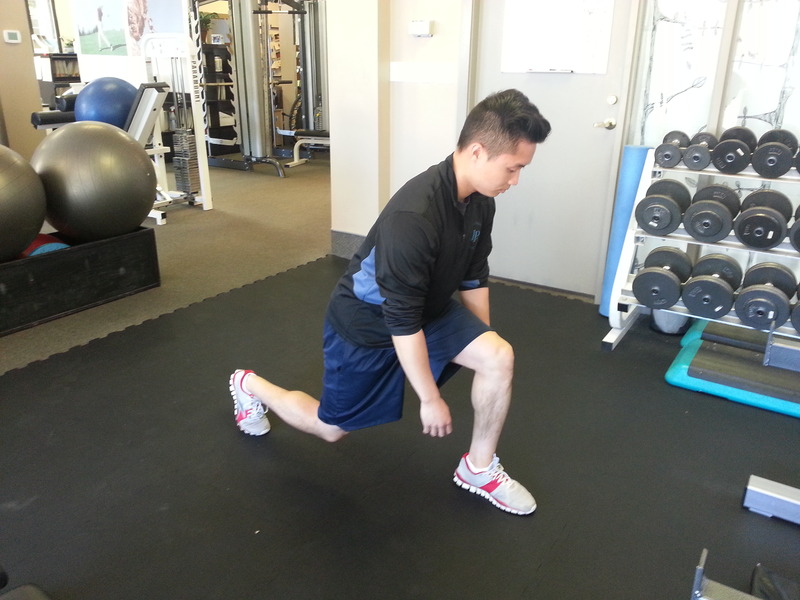 Perform reverse lunges to decrease the knee stress experienced during a forward lunge. Decrease the depth of lunge. Use supports such as the wall, the Liebert equalizer, a trainer or a friend…! Lunges are amazing for activities like hiking, surfing, yoga, squash and tennis, and in the winter, skiing and snowboarding, obviously! The list of benefits is endless. I strongly encourage making these a regular part of your lower body program. Stay tuned for more exercise breakdowns and rehabilitation tips. 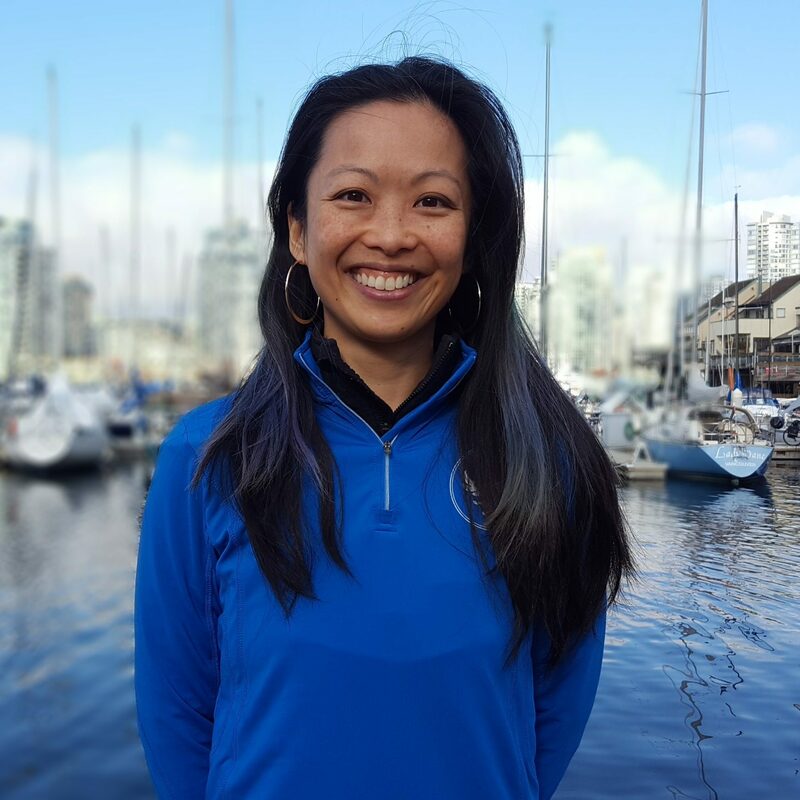 If you have any questions about the best way to incorporate lunges into your routine, or to find out whether or not they are your best exercise option (and which modification to use), I’d love to hear from you – call me at 604 873-2255 any time!